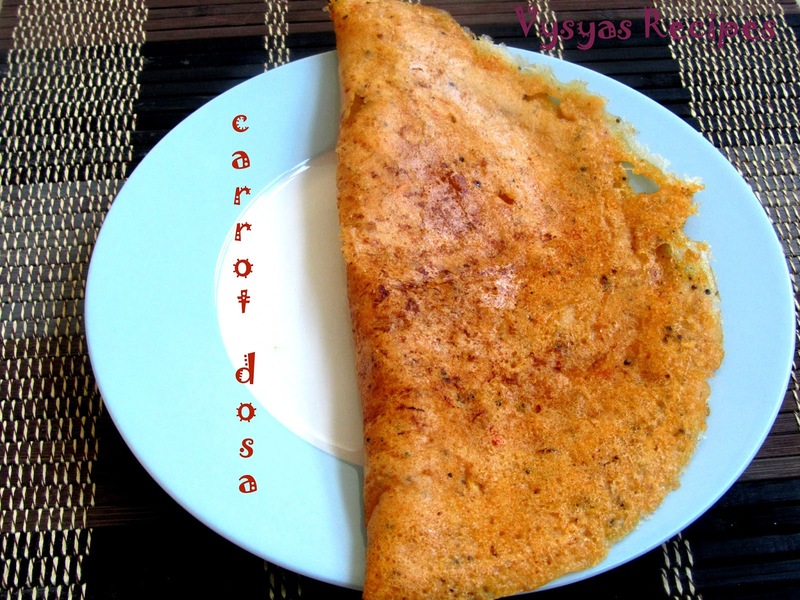 Carrot is an Authentic dosa recipe made with carrots, rice and some spices. Carrot is a good source of minerals such as potassium, and manganese. It also contains some amount of sodium, fluoride, phosphorus, iron, zinc, copper, selenium, and calcium. The vitamin A and beta-carotene in carrots helps to maintain vision along with the carrots fair share of lutein. Research at the University of Newcastle has shown carrot falcarinol destroys pre-cancerous cells in tumors. Carrots do help keep cancer away.Carrots are deep soil root vegetables, and this enables them to absorb an abundant array of minerals. They are also rich in other vitamins, including the B vitamins and folates. 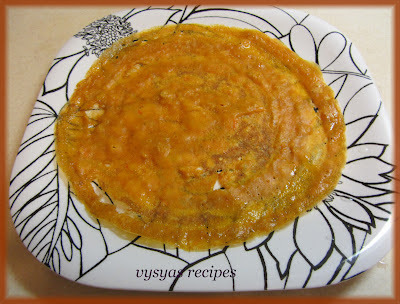 Folate is the natural and safe provider of folic acid.Now we learn to make carrot dosa. Now we prepare a delicious dosa using carrots. Cooked rice - 1/2 cup. cumin seeds/jeera - 1/4 tsp. black pepper seeds - 1+1/2 tsp. [35 to 40 seeds]. Soak the idli rice and raw rice for 4 to 5 hrs or overnight. Grind soaked rice and all other items mentioned in ingredients column with needed water, into a smooth paste. Consistency should be moderate.Not too thicker or thinner. As soon as you make the batter,you can start making dosa like we make normal dosa.Fermentation is not necessary.